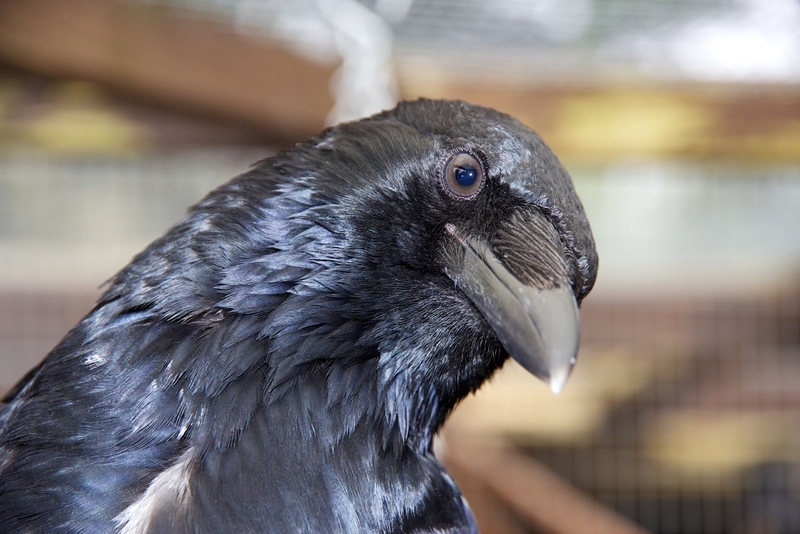 During many years of corvid rescue and rehabilitation we came across a number of serious mistakes being made by presumably experienced and unexperienced individuals or rehabbers alike. We would like to share our observations and experiences in the hope that these sometimes fatal mistakes will not be made again, hopefully saving the lives of many corvids in need of help. Raising an orphaned baby corvid is often seen as easy and very tempting, in particular as the finder is often ‘persuaded’ by the cute and interactive attitude of baby corvids. Lay people, but sometimes even rehabber with some degree of experience with other bird species, ever so often get into the trap of ‘giving it a go’, even when expert help and advice is being at hand. Despite meaning well, it is sadly rather more often about the own ego than the genuine wish to give the bird the best possible second chance he or she deserves. 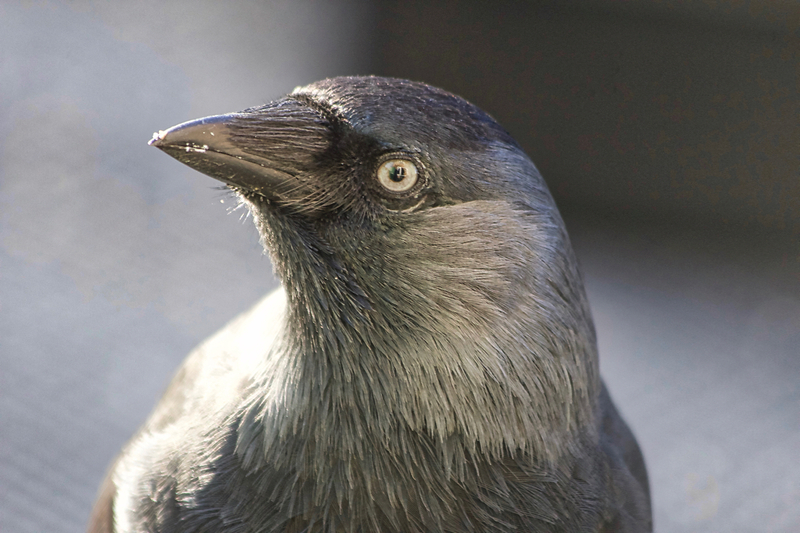 One of the common mistakes being made is that the effort and financial implications needed to raise a corvid are often greatly underestimated, and so are the needs of a sentient being, who is being degraded as an object of experimentation. Ever so often birds will be inadvertently imprinted on humans and prematurely released by choosing an insufficient release method, the wrong release site or the wrong release time. Raising a nestling corvid by his or her own will without exception result in some degree of imprinting on humans, the human habitat or pets. However, it would be wrong and one of those mistakes to believe that imprinting is a negative or undesired feature. Imprinting as such is essential for life and survival. But the question is to whom the animal is being imprinted on. Birds are ‘hard-wired’ to many things in their future lives, but they also need to learn the art of feeding, catching prey or social interactions and behaviours from their parents. Songbirds can sing by default, but they do need to ‘learn the tune’ from those around them, those normally being their parents. Imprinting in animals in general can involve more than one sense. It can involve sight, sound and smell. Furthermore, the imprinting becomes stronger when the animal is under stress, which is in no doubt a survival mechanism. Imprinting is an interaction between instinct and learning. The irreversible and species specific process of imprinting occurs only in a fixed time window. This is the critical period, learning after this period has different weaker effects. To counteract the risk of imprinting, company of a same or similar species bird is crucial, meaning that corvids in particular should never being raised by their own. As many of these young patients are in need of long-term rehabilitation, it is also crucial to understand and to recognise their social needs during the process of maturing, a process which takes many months if not years. One of the mistakes commonly made is that the importance of the help provided by releasable and also unreleasable wild adult birds is underestimated, or not utilised at all, which in fact is an essential tool to teach young birds necessary social skills and behavioural patterns they require for their survival. The fact that corvids should not be raised by their own, the species specific needs and the common requirement for long-term rehabilitation facilities with adequate company, which includes the interaction with unreleasable adult possibly disabled birds, is a challenge in itself, which is often completely ignored or at the very least underestimated. One of the common mistakes being made in this context is that the facilities provided are usually too small and inadequately equipped to be fit for purpose, which is leading often to injuries, chronic diseases like bumble foot or damaged plumage. Corvids are very inquisitive and destructive. The materials to be used in an corvid aviary have to be safe and need to be checked and monitored constantly for wear and tear to eliminate a potential cause of injury. Although it is possible to combine different corvid species, one should always bear in mind, that the artificially created corvid society is a fragile and dynamic element, which needs constant monitoring and which is subject to frequent and sometimes rapid change at any time. Maturing, pair formation, hierarchical disputes, mood and hormonal changes during breeding season and moulting are only a few of the causes influencing the stability of a mini flock. CCTV monitoring is an expensive but very useful tool, which allows undisturbed and unbiased observation of behaviour and social interactions between birds, allowing early interference before problems occur. Sound knowledge and understanding of corvid species specific behaviour is the key, which unfortunately is often completely lacking, being ignored or at least regarded as unimportant. The necessity of keeping a larger group of corvids in a confined area for a longer period of time harbours another challenge, which is to maintain a basic hygiene and cleanliness system. The problem increases exponentially with the number of animals cared for and the good intentions to create a small artificial habitat, which should ideally allow the animals to behave and act naturally. It becomes apparent, when testing corvid patients, that almost all of them are carriers of coccidia and worms. Although it is possible to treat these birds individually, it becomes a bigger problem and challenge when birds are residing in a larger communal aviary, where flock treatment is the only option. It is also impossible and actually not advisable to completely eliminate these diseases, but is seems necessary to keep infection levels as low as possible. 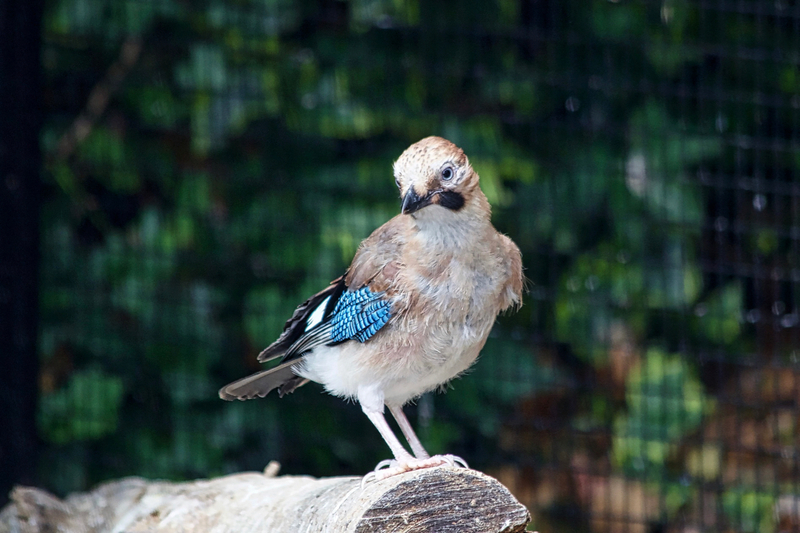 Therefore a larger communal aviary will always be a compromise between the ideal case scenario of a species specific nature habitat and a place which can be easily cleaned and maintained to minimise the potential infection risk due to the build up of infected faecal material in areas created for foraging and food caching as well as due to the run off of contaminated material into the surrounding environment creating a potential infection source for wild animals like ground feeding blackbirds or thrushes, but also hedgehogs and rodents. This is in particular a problem with coccidia, as the oocysts have resistant cell walls and are discharged unsporulated in the faeces. Oocysts do not survive well at temperatures below -30°C or above +40°C. However, within this temperature range oocysts may survive for more than one year and will sporulate or become infective in as little as 24 hours under optimum conditions in a humid environment between +25ºC and +30ºC. Although corvids are known to be scavengers and omnivores, the diet of the different corvids species does vary considerably, from species to species and over the seasons of the year. 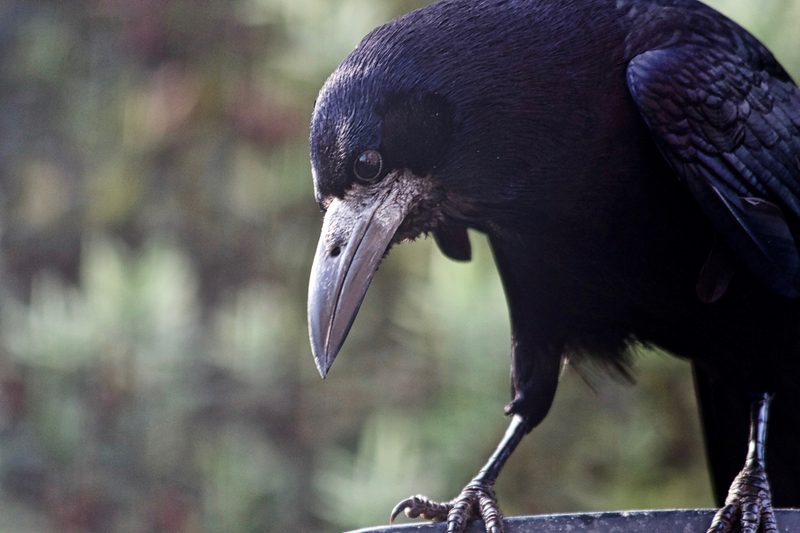 Only about 40% of the rooks’ diet for example consists of animal protein, and those being mainly worms, bugs and larvae. They usually don’t eat carrion, as their beak is not designed and able to rip animal carcasses into manageable pieces. The remaining 60% of the rooks’ diet are plant-based products like fruits, seeds and vegetables. During the winter time, carrion crows prefer seeds, berries and carrion, whilst during the summertime they also do mainly live on animal protein like snails, worms, insects, small mammals and eggs. These species specific facts should be taken in consideration when creating the menu for corvid patients. Nestling corvids should be primarily fed on an insect or adequate animal protein based diet. However, despite the fact that nestling corvids are being fed snails and worms by their parents, these should not be fed to birds when hand raising them, as internal parasites like coccidia or round worms are likely to be transmitted. Tinned dog or cat food is not suitable either and will lead to severe digestive short and long-term problems. Additional vitamin, mineral and calcium supplements are recommended, as corvids are prone to develop calcium deficiencies resulting in rachitis and feather damage. Pellet producing materials like small pieces of fur or feathers should be mixed under the baby food when older than 2 weeks. When the birds are fledged, the species specific diet preferences become more important and should be accounted for. One of the most common mistakes made is the wrong interpretation of normal corvid behaviour, mainly due to lack of knowledge and experience, but also sometimes due to anthropomorphistic reasons. Corvids are highly intelligent, sentient and social animals, who are able to interpret good or bad intentions and behavioural patterns of other animals, humans included. There is a big difference between submissive behaviour in a captive environment and being genuinely tame or imprinted. Young corvid nestling and sometimes even fledglings have not learned yet to regard humans as dangerous entities and will cooperate eagerly when being fed. At that point in time the risk of imprinting is at the highest, but has not necessary happened yet. Adult corvids are also able to adapt very well to a captive situation, in particular when realising that the human caring for them is providing food and is easing the pain. They will remain calm when not being restrained and when a minimum amount of privacy is being allowed, at least as long as they are poorly or compromised due to their injuries. Long-term patients often form a close temporary and person specific bond with their carers, which is being cut when the animal feels ready to go. All these behavioural variations have nothing to do with imprinting or tameness and are simply signs of their amazing ability to adapt to these unique situations. It is important to recognise the difference, as this fundamental ability of a good rehabber will decide over the future and the chances of survival of the animal being cared for. Animals are sometimes rescued unnecessary, with good intentions, but without good reason. A young bird alone on low-level branches or on the ground has not necessarily been abandoned, as the young of many bird species will spend a couple of days on the ground before their feather development is complete and they are able to fly. Parents will be close by and come to feed the bird as soon as it is safe. 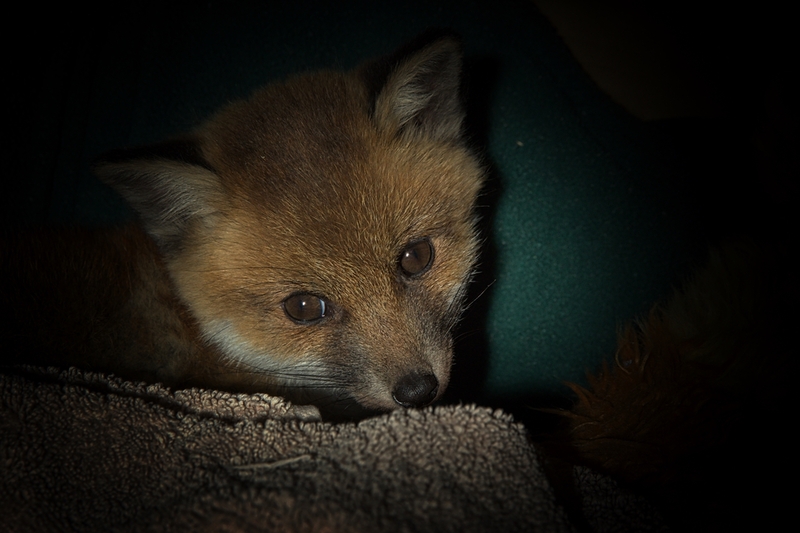 However, to make an informed decision, whether an animal has to be rescued or not, one has to find out what species he or she belongs to and how old the animal is. A healthy rook fledgling on the ground, who is unable to get to higher ground, will not be fed by his or her parents and will require help. On the other hand, a healthy carrion crow fledgling on the ground, will usually be attended and defended by his or her parents. However, nestlings of any species, found on the ground, will not survive without human intervention. However, the degree of human intervention varies from stepping back and observing the situation, over taking a fledgling out of a danger zone and putting the bird back onto higher ground, to taking the animal in to human care. Species identification and establishment of the correct age are also crucial for the correct choice of release location and time. Hand reared juvenile corvids, but also all long-term patients having been in captivity for longer than 2 or 3 weeks, should always be soft released. Juvenile corvids are not suitable for release until being 5 or 6 months old, which is usually at the end of the summer after their first partial post-juvenile moult. This allows them to reach full growth and to be able to fly strongly. It also allows enough time to reach enough strength allowing normal competition with other corvids, avoiding excessive bullying. The preferred release time in the U.K. is the end of August and during September. Please also note that an offence may be committed under the Animal Welfare Act 2006, if a released animal does not have a reasonable chance of survival. This may include the release at an unsuitable site, in the wrong territory, when being unfit, or when not having learned to hunt, or when done during the wrong time of the year. The most common mistake made is the wrong species identification combined with the lack of species specific knowledge. Rooks are breeding in colonies or so called rookeries, as they are very social and gregarious animals. Carrion crows are territorial and have well-defined breeding territories, which are very much fixed but tend to shrink and expand slightly during and outside the nesting season. This means that the territory holding pair is using a single nesting site, which will be defended against any intruders. Sometimes another so called third bird, usually offspring from the previous year, is allowed to stay in the fringes of the occupied territory, helping the territory holder pair to defend their grounds. Non-breeding birds form loose groups, which will reside in an unoccupied area. Outside the breeding season and during wintertime, crows become more sociable and tend to sometimes mix with rooks. When releasing juvenile birds or longterm patients, then soft release is the preferred option. For short-term patients or a hard release scenario, the release site should be chosen very carefully. The location where the bird has been found, might not necessarily be the best place for his or her release. Neither crows nor rooks should be released into an occupied crow territory, in particular not during the breeding season. An area inhabited by a non-breeding flock of crows or rooks would make an ideal place for a release. Soft release works best, when the release aviaries are located in an unoccupied crow territory, near a rookery or communal roost. Leucism is a general term for the phenotype resulting from defects in pigment cell differentiation or migration. It is a condition in which there is a partial loss of pigmentation resulting in white, pale or patchy colouration of skin, hair, feathers, scales or cuticle, but not the eyes. Leucism can be caused by the reduction of all types of pigment, unlike albininism, which only affects the melanin production. Leucism is occasionally found in corvids, which can show a varying degree of white or pale feathers within an otherwise normal appearing plumage. These abnormal feathers are often more prone to wear and tear and make the bird potentially more conspicuous and prone for predation. 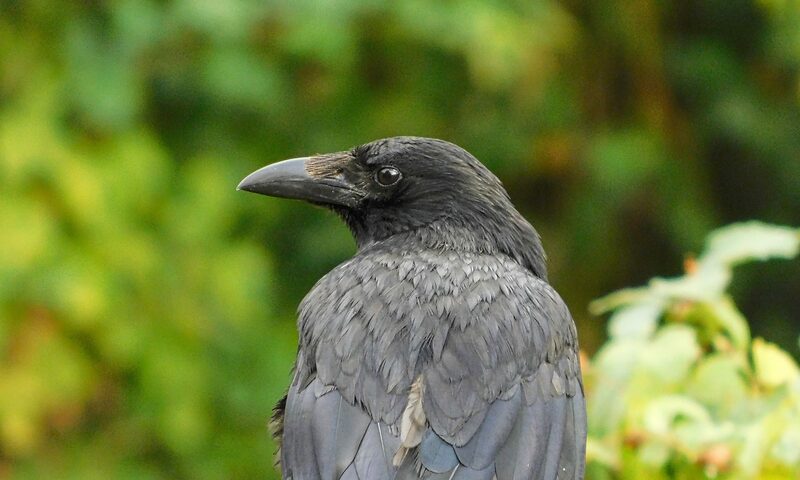 Besides primarily genetic causes, dietary deficiency caused by calcium or folic acid deficiency, or as found in Australian ravens due to a circovirus infection, can also result into this phenotype pattern. It has been also found that agricultural pesticides have a direct impact on reducing food and insect availability. Insects are an essential dietary requirement for almost all bird species, which rely on those for at least a substantial part of the nestling phase of their offspring. Pesticides lead directly and indirectly to the search for alternative and often suboptimal food substitutes and may also result into a progressive weakening of the immune system of adult and young birds, which increases mortality in general, but does more often lead to a varying degree of dietary deficiencies with subsequent plumage and skeletal aberrations. Recognising the difference between inherited and acquired plumage aberrations is crucial, as acquired plumage problems can be corrected, whilst inherited causes cannot.